“Even the music that I do, it’s like folk music during the Civil War. If you wanted a banjo, you built a banjo.” — Tim Kaiser interviewed on T.I. On tonight’s show, I’m very happy to have one of the real pioneers in contemporary instrument design and experimental performance. Tim Kaiser is a Minnesota-based musician, inventor, and artist who has been making experimental art for the past 25 years. He designs and builds his own instruments, both acoustic and electronic, using toys, vintage electronic gear, and other found materials. Tim’s work was featured in Make Magazine and presented in Germany, Brazil, Sweden, Hong Kong, Cuba, Canada, and more. 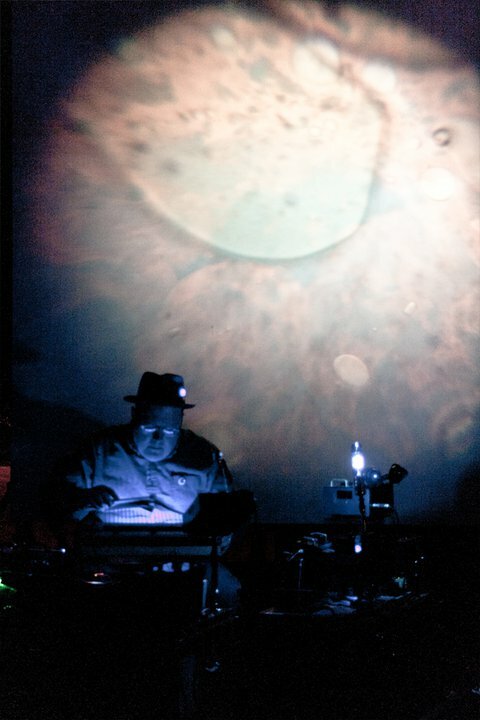 He tours across America performing ambient improvised music incorporating his inventions. In October of 2010, he performed at the Circuit Benders’ Ball in Nashville, Tennessee, and today’s show features that performance in its entirety. In the interview, we discuss the Makerbot revolution, hackerspaces, opera, the intersection of science and making, improvising, and Tim’s latest creations. Download more audio and video from the 2010 Circuit Benders’ Ball at the CBB10 Media Repository. If you like the show, tell a friend or write a review in iTunes. If you like tonight’s performance, check out the Circuit Benders’ Ball Theatre Intangible Live Improv w/ Tim Kaiser, DaveX, Thriftsore Boratorium, 1/2 Mang, Lola Wilson (I Am Pazuzu) & Jeremy Walker. Mentioned in this episode: Harry Partch, Brian Eno, Yoko Ono, King Crimson, Adrian Belew, Reed Ghazala, Circuit Ben, Low-Gain, Paul Metzger, Makerbot Industries, Cupcake Makerbot, Make Magazine, Open Lot Nashville, BT, Duran Duran, Throbbing Gristle, Peter Christopherson (AKA Sleazy), Pogo Studio, DJ Marco Ricci, Short Circuit Festival, Bent Festival, MEECAS, The Circuit Benders’ Ball, and The Transistor Gallery in Chicago. his set was incredible. I still think of it as the best experimental music set I’ve ever seen!